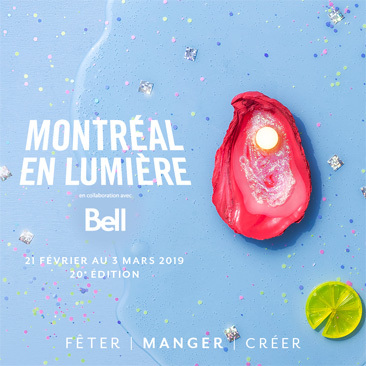 As the cornerstone of MONTRÉAL EN LUMIÈRE, the fine-dining programming makes Montreal the ultimate gourmet destination. 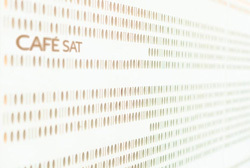 For the very first time, the SAT will collaborate with the festival by notably featuring a high-end menu crafted around Quebecois products by chef Adrien Renaud of the restaurant Labo culinaire Foodlab , accompanied by guest chefs and Quebecois vignerons. In addition, you will surely be tempted to come by the Café SAT, particularly on February 21, 22, 25, 26, 27, 28, and March 1 between 11:30 a.m. and 3 p.m. to enjoy Through the Looking Glass, a lunch in a wonderland of Quebecois flavours. February 23 - 5:30 p.m. and 8:30 p.m. Chef Adrien Renaud, strong supporter of Quebecois agriculture and its terroir, invites for a dinner crafted around winter products the young pastry chef Valentin Rouyé, Benjamin Mauroy-Langlais, who was just named “Canada’s Best Young Chef” at the San Pellegrino Young Chef 2018, and Maxim Rouyé, from restaurant La Table des Gourmets in Val-David. February 26 - 6 p.m. to 8:30 p.m. 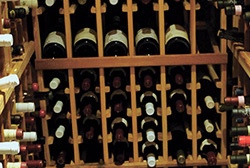 Follow sommelier Natalie Richard to meet 4 Montreal sommeliers that have a memorable wine and bites tasting in store for you. 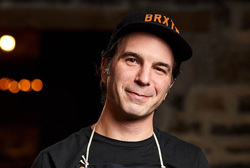 The circuit will notably pass through the Labo Culinaire Foodlab to taste sommelier Louis Zeppetelli’s natural wine selection. February 21, 22, 25, 26, 27, 28, and March 1 – 11:30 a.m, to 5 p.m.
To celebrate MONTRÉAL EN LUMIÈRE’s 20th anniversary, the SAT’s café invites you to pass hrough the Looking Glass. A perfect occasion to come discover our enchanting dishes for a lunch in a wonderland of Quebecois flavours. As the cornerstone of MONTRÉAL EN LUMIÈRE, the fine-dining program makes Montreal the ultimate gourmet destination. Since the very first edition of the festival, some 575 renowned chefs, vignerons and speakers have taken part. Every edition is a new ode to discovery!